A suburb of Chicago, IL, the City of St. Charles is home to 33,000 residents. It is also home to 88 banker boxes full of 193,600 pages of old accounts payable (AP) documentation waiting to be destroyed (after its seven-year retention period). If you stack all those boxes on top of each other, the resulting column would be more than 73 feet high! Prior to automating the AP process with Laserfiche, the AP office processed each invoice manually. A clerk had to look up each one in the city’s Infor Lawson enterprise resource planning (ERP) system to find the associated purchase order and name of the requester to contact for invoice payment approval. Upon receiving confirmation from the requester that the invoice could be paid, the AP office would print the email and the invoice and store them in a file cabinet. A clerk would then manually release the invoice for payment in Lawson. Once a week, checks were cut for payment to the vendor. Here is how the city of St. Charles used Laserfiche to reduce invoice processing time by 80%. Currently, three workflows handle the AP process. A purchase order (PO) is generated through Lawson after a requisition is approved. Laserfiche Import Agent runs nightly and imports all POs created that day into the PO Intake Folder in Laserfiche. All of these POs are imported as one batch file. Uses the Pattern Matching activity to find the PO number and Vendor ID in the text and assigns them to tokens. Uses the Token Calculator activity to calculate the appropriate fiscal year. Runs a custom query in Lawson to determine the vendor name based on the Vendor ID. Creates a new entry in the records management section of the repository and moves the PO pages from the batch file to the new entry. Creates a shortcut to the PO in an existing vendor file or creates a new vendor file if one does not exist. The workflow then moves on to the next PO in the batch and repeats until all POs have been processed. Once the accounts payable office receives an invoice, it inputs the information into Lawson. The AP clerk then clicks the Import button in Lawson and uploads or scans the invoice into Laserfiche through the Laserfiche Affinity integration into the Invoice Processing folder. Affinity extracts the information from Lawson and uses it to populate the invoice’s metadata. Retrieves all the field data to be used later in the workflow. Determines if the invoice has all the necessary metadata. If metadata is missing, Workflow sends an email to the AP office asking it to resubmit the invoice with the required information, deletes the current document and terminates. Looks for the associated PO based on the PO number. If the PO exists, then Workflow adds the invoice number to the PO’s metadata. If the PO does not exist, the workflow continues. Renames the invoice according to the standard naming convention: Document Type – Invoice Number – Vendor Name – Invoice Date. Routes the invoice to the records management section of the repository for archival where retention is automatically applied. Creates a shortcut to the invoice on the user side of the repository in the same folder as the associated PO. This provides a centralized place for users to access all the information. Populates the company number based on information queried from Lawson. At this point, the invoice is sent down different paths in the workflow depending on invoice type. If the invoice type is for an expense that does not need approval, it is automatically routed to the 2 – Waiting for Check or EFT Confirmation folder. Determines the name of the original requester of the PO and sends that person an email to approve the invoice. Creates a new folder for the reviewer within the Accounts Payable – Invoice Routing – Requester Approval folder. Sets security on the new folder so that only the appropriate reviewer can view the information. At this point the reviewer can approve, deny or reroute the invoice. If he chooses to deny the invoice, an email will be sent to the AP office to either delete the invoice or reroute if necessary. 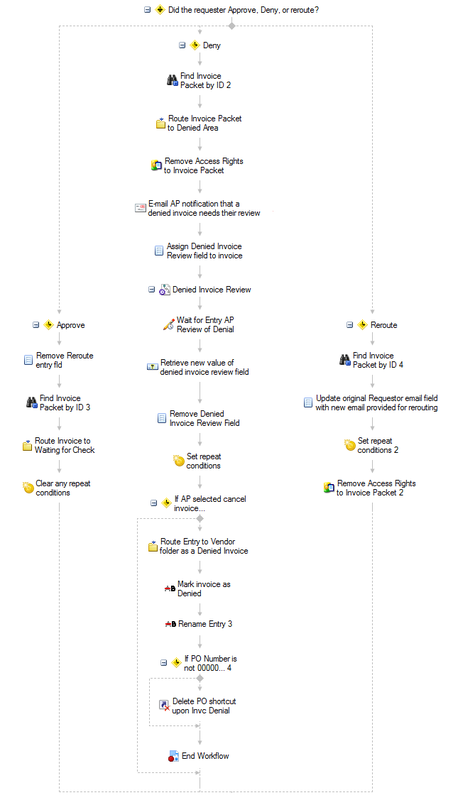 If he chooses to reroute the invoice, the workflow will repeat the above steps and email the new reviewer. If the second reviewer approves the invoice, the invoice packet is moved to the 2 – Waiting for Check or EFT Confirmation folder and the security is adjusted as necessary. The invoice’s metadata is updated to reflect that the invoice is awaiting payment. A different VB script removes the hold placed on the invoice in Lawson. The invoice packet remains in the 2 – Waiting for Check or EFT Confirmation folder until a check is cut and imported into Laserfiche. The check intake is done through a third workflow. A batch of checks, run from MHC Software, is imported into the Check Processing folder. This batch can consist of one or more checks. The workflow extracts the check number and vendor ID from the first page using the Pattern Matching activity and assigns this information to tokens. Next, Laserfiche Workflow uses the Token Calculator activity to calculate the fiscal year and assign it to another token. 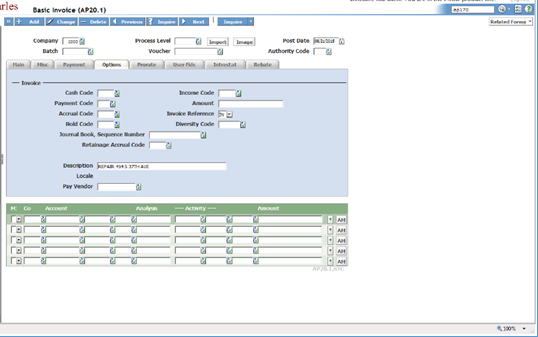 Workflow also runs a custom query in Lawson to determine the invoice number associated with the check number and the vendor name associated with the vendor ID. Looks up the PO number in Lawson based on the invoice number and assigns a company code to the check. Finds the appropriate invoice and PO, and adds the check number to each document’s metadata. Removes the check from the batch document and saves it as a new entry. These steps are repeated for every check in the batch. Once the check has been cut, the AP clerk changes the invoice status to Check Has Been Issued, which launches a workflow. This workflow searches the repository for the invoice packet folder, which now includes a copy of the check, and moves it to the vendor folder. At this point, unless the invoice is for a capital expense, the workflow is complete. 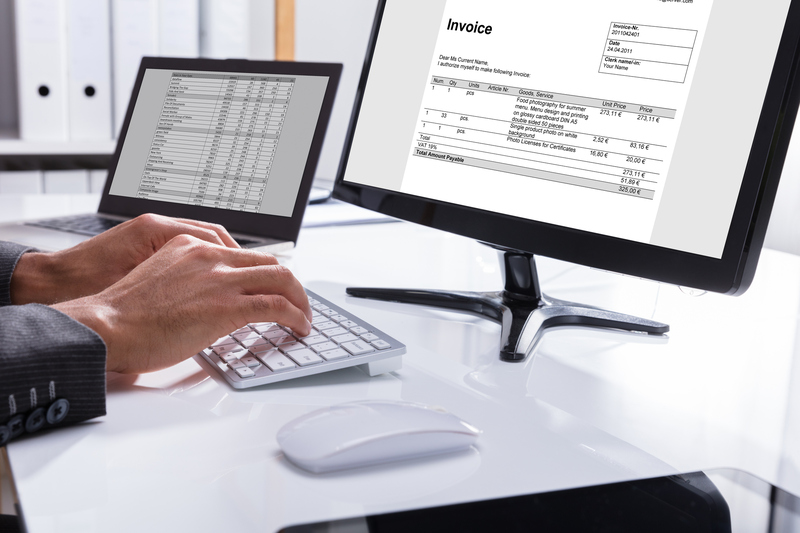 If an invoice is for a capital expense, the workflow queries Lawson for the activity and account code and places an additional document shortcut in the Capital Invoices folder, under the current fiscal year and the appropriate activity code. This is done per the finance department’s request to provide a centralized location for review. The information is viewed through shortcuts on the user side of the repository. The actual documents are stored in their record series folders on the archive side of the repository with the appropriate retention applied. Physical storage and record destruction costs have been reduced since the AP office has no more paper records to send to the archives. The time spent processing invoices has been reduced by 80%—from five minutes per invoice to one minute per invoice. Staff does not need to dig through banker boxes to access information since everything is available in one place in the repository. Want to automate accounts payable in your organization but don’t know where to start? Get the free eBook Five Steps to Accounts Payable Automation.